Now that the days have (finally!) turned milder, when I’m planning things to do, I find myself looking to take the kids outside. Happily, here in Minnesota, we do love to take advantage the great outdoors, so there’s no shortage of options on that front. But amid the bountiful cultural offerings this time of year, my family’s perennial favorite summertime artspot has to be Franconia Sculpture Park. Through the warmer months, this lovely park near Taylor’s Falls really shines. Read on for a shortlist of news and events, including a couple of wonderful happenings coming up at Franconia, that I’ve earmarked in recent days. 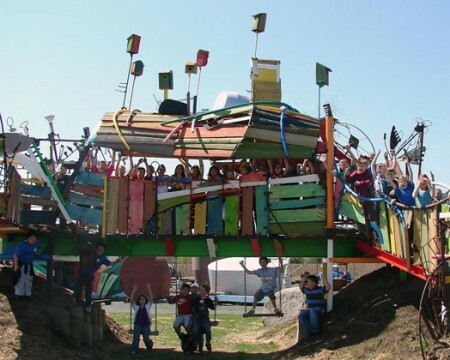 Free live music and smart conversation about art at Franconia Sculpture Park: The park’s popular 3-D Music Concert Series continues this year; the first show of the season is coming up this Saturday afternoon, June 11 from 4 p.m. until 8 p.m., and features live performances by Brothers Burn Mountain, DJ ESP, and Dance Band. The timing is perfect for a late-afternoon road trip with the kids, and the atmosphere at Franconia is unfailingly laid back and family-friendly. If a more subdued, just-for-grown-ups evening is more your style, you could head out for tomorrow night’s 3-D Symposium at the park; it’s a delightful al fresco discussion series that Franconia holds on the second and fourth Thursdays of the month, which facilitates conversation between resident sculptors, philosophers, critics, academics, and area art lovers. Featured artists for the upcoming discussion are 2011 Open Studio Fellow, Araan Schmidt (OH), and Franconia alum and “blog mastermind” Bridget Beck (WI). 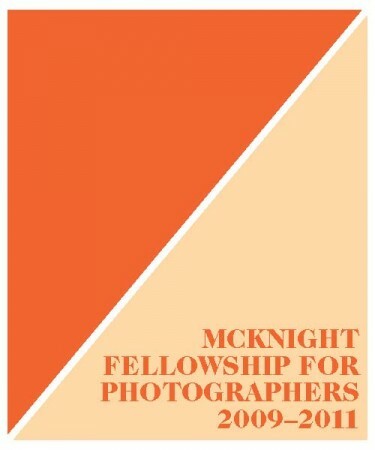 Double-opening for recent McKnight photography fellows: mnartists.org, along with Midway Contemporary Art and Franklin Art Works, is hosting a joint opening reception for two exhibitions of work, by the 2009-2010 and 2010-2011 McKnight Artist Fellows for Photography respectively, this Saturday, June 11. Openings will take place at both galleries from 7 – 10 p.m., and a free bus will shuttle gallery-goers between the venues’ receptions until 10 p.m. Both exhibitions will remain on view through July 24. Franklin Art Works will be showing recent work from 2009-2010 Fellows Monica Haller, Paul Shambroom, Lex Thompson and Carrie Thompson. Midway Contemporary Art will be exhibiting new work from 2010-2011 fellows Chuck Avery, Amy Eckert, Gina Dabrowski and Karl Raschke. And two book launches of note coming up in the next several days: Punk legend Bob Mould, of Hüsker Dü and Sugar fame, will read from his new memoir, See a Little Light: The Trail of Rage and Melody, which traces the peaks and valleys of his storied musical career, his struggles with addiction, intimate relationships, and homosexuality, and his curious foray into pro wrestling. Mould will be at Magers and Quinn Booksellers in Minneapolis on Tuesday, June 14 at 9 p.m., preceded by Norwegian novelist Johan Harstad at 7:30 p.m. 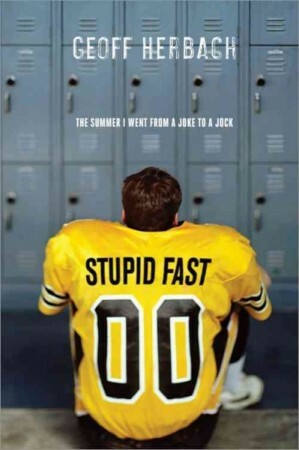 This Friday evening, June 10 at 7 p.m. in the Red Balloon Bookshop in St. Paul, Electric Arc Radio co-founder, author, and sometime mnartists.org contributor Geoff Herbach (The Miracle Letters of T. Rimberg) will celebrate the publication of his second (and already well-reviewed) novel, Stupid Fast: The Summer I Went from a Joke to a Jock, a funny, painfully candid YA book about football, high school, and the awkwardness of teenage boyhood. Finally, a predictable, if sad resolution for the Southern Theater’s near future: With virtually all its programming staff laid off, the theater will go down to just one full-time employee – a general manager. Last week, MPR’s Marianne Combs reported that the facility — home to so much smartly curated new dance, music, and theater in recent years – would, as expected, dramatically downsize its annual budget for the 2011-2012 season and become, primarily, a rental facility, adding its own programming “only when it’s feasible and fully underwritten.” Like lots of Twin Cities performance-goers, I’ll miss the provocative, reliably interesting shows, but I suppose this is still better than hearing the Southern’s beautiful space would be turned into condos or something, right? So, these are the things that have drawn my eye in recent days. I’d love to compare notes. What’s on your to-do list for the coming week? What stood out among the headlines that passed through your RSS feeds? I’m eager to hear about the local cultural news and events that have caught your attention in the comments below.